Posted: 0 Post subject: Set Completer/Set Starter Swap2 - Post wantlists & pics! Welcome to the Set Completer/Set Starter Swap Nr2 - snacks only edition!! I'm all about sets myself, so this is a set completer swap! It's a wantlist swap and the most important part of your wantlist will be the ponies you need in order to complete sets (eg. Sundae Best or even G3 "sets" like Dream Design ponies and G4 waves). And to make things easier there will also be "set starter" ponies, that is ponies from a set you own NONE of yet and would love to have. - You must post a wantlist (the bigger the better!) with at least 8 set completer/set starter ponies. 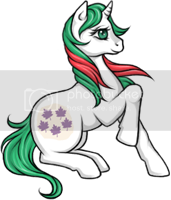 Your wantlist may include other ponies as well or you can choose to have the other ponies randomly selected by your partner. - Set starters are ponies from sets that you own NONE of yet. Now we can't make you prove that unless we come around and search your house So just be honest! 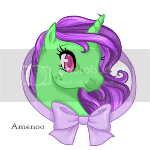 - Each package must contain at least one set completer/starter pony or more. The spending limit for ponies is $15-20, as set completers may be a little HTF. So you can either send your partner one expensive pony or more cheaper ones. - Each package must also contain some extras and for this swap extras can only be candy and snacks! Your partner will provide info about his snack likes and dislikes so read carefully and make him/her happy Spending limit for snacks is $5-10. - Please use the safest shipping method and get proof of postage if possible. *Have an active arena membership of at least 2 months. *Have at least 50 posts. *Be able to provide positive selling/trading feedback. - Please take part in this swap only if you have the time and money to do it. If you think something might happen that will prevent you from completing the swap, please don't sign up! - This will be a secret swap, which means your partner won't know who you are until they receive your package. So do NOT contact them or announce who they are. Any questions you may have may be addressed on this thread and will concern all participants. Do send him a note or card stating who you are along with your package. - 21/12 - 31/12 : Signups. - 21/12 - 06/01 : Wantlists and photos (this is a bit prolongued to make sure people have received their holiday swap packages). - 07/01 - 08/01 : Swap partner assignment. - Are you willing to ship internationally and outside your continent? - Anything else I might need to know, like will you go on holiday during the swap? - Your wantlist (which must contain at least 8 set completer/set starter ponies - the more the better). - Whether you'd like the rest of your ponies (apart from the set completer/set starter ones) to be selected from your wantlist or randomly. If you choose random please specify which generations/ponies you collect and which you don't. Please also state whether you'd prefer to receive one HTF more expensive pony or more cheaper ponies. Make sure to also mention whether you collect MLP accessories, merchandise etc. - Describe the condition of the ponies you'd like to receive. Which flaws are ok with you and which are not. - Your candy/snacks likes, dislikes and possible allergies. Please mention if you're on a diet and would only like to receive diet snacks or snacks for your family and pets. For any questions please pm me! So enough with all the talking, let's get on with this!!! Posted: 0 Post subject: Re: *Set Completer/Set Starter Swap* Nr2 - Signups open! I'm in! I'll PM you in a minute! Oh I won't be a two month member until January! Sounds like a lot of fun though! Good luck with the swap!! And megt19 I've pm'ed you about your feedback. I think I will post my wantlist and pics after christmas, because the next days will be a bit stressful for me ( I guess for most of us, too). At the moment I'm baking christmas cookies!! Well, you've got to give us some of these cookies too!!! In fact, I demand that you do!! I want to join too^^! Ooooh, I know I said I wanted to join before (and I really still do), but a bunch of stuff has just come up money-wise that I need to take care of. Maybe if there is another one, I'll participate. XD I have a bajillion sets that need completing. The rest of you, have fun! !